An investigation into whether Apple infringed a patent relating to processor transistors in South Korea is ongoing, but a report suggests regulators are going to rule against Apple, which could lead to an import ban in South Korea for the iPhone X, iPhone 8, and models of iPad and iPad Pro. 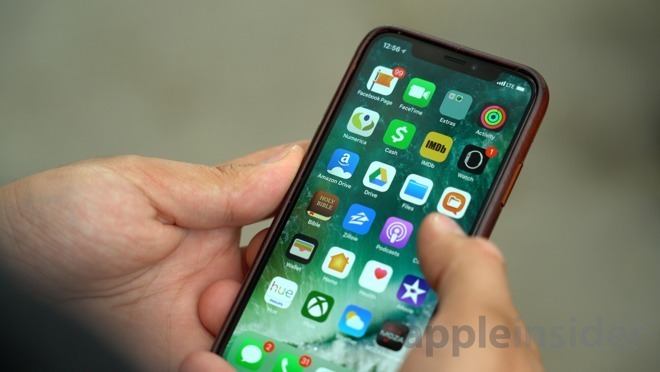 The Korean Ministry of Trade, Industry, and Energy is currently investigating allegations that Apple products infringe on a patent owned by the Korea Advanced Institute of Science and Technology (KAIST,) and has already extended the investigation period twice, reports BusinessKorea. The publication claims the final determination by the regulator is likely to be in favor of KAIST. If the authority does find Apple has infringed, it is likely to result in a ban on the import of iOS devices to the country. "We are currently looking into whether Apple infringed on the patent of KIP, a subsidiary company of the KAIST," advised a Korea Trade Commission representative. The Commission added the Apple products that are targets of the investigation include the iPhone 8, iPhone 8 Plus, iPhone X, iPad, and all iPad Pro models, usually imported to South Korea from China and Hong Kong. The patent in question relates to FinFET, a type of "3D" transistor that offers fast switching times, typically used in processors and other types of semiconductor components. It is unclear what specifically in the iOS devices is infringing, but it is likely to be some form of chip commonly used across Apple's mobile product range that is in question. While it is thought the investigation will find in favor of KAIST, it may still be influenced by Apple's main competition, Samsung. The South Korean electronics giant is currently involved in a lawsuit against KAIST in the United States over the same patent, and has submitted evidence in an attempt to invalidate the patent. A similar lawsuit has also been filed in South Korea. "We cannot but pay attention to the litigation in the U.S. and South Korea involving Samsung Electronics, although our current investigation is targeting Apple," the ministry advised. "This is because Samsung Electronics submitted evidence to refute the novelty of the patent, which is required for the patent to be regarded as being valid." If Samsung's lawsuits successfully invalidate KAIST's patent, it would assist Apple due to the patent no longer existing, rendering the investigation moot.